Win! 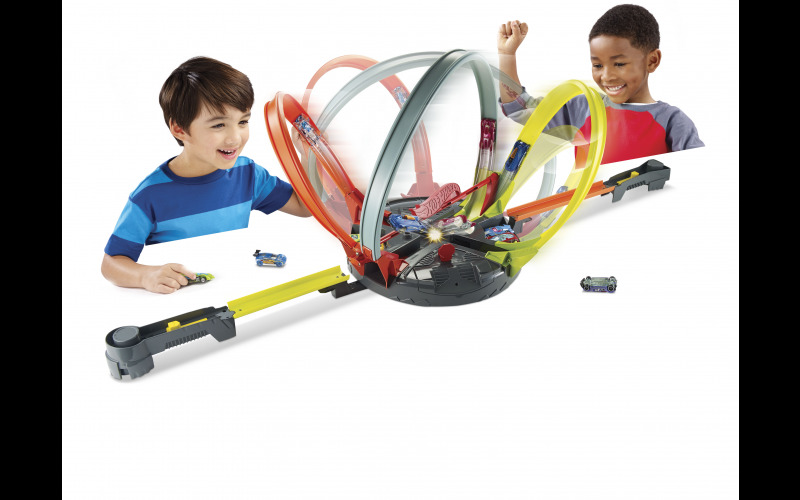 A Hot Wheels Roto Revolution and Stunt Bridge Track Set worth £100! Fans can launch into action with this interactive, spinning track set that will test their skills as they go a head-to-head in a battle against their chosen opponent! Challengers can strategically launch the Hot Wheels cars into the rotating set and with perfect timing, they can epically loop around the set, crashing into the opponents cars! The last man standing in the loop wins! With Track Builder, there's no limit to what can be created, especially now that it's fully brick compatible! Kids can create their own outrageous stunts, experiment with speed and keep challenging themselves to Make it EPIC! Launch the Hot Wheels cars when the motorised bridge arm is mid-way up and complete the epic jump across the dangerously large gap! With multiple configurations, the Hot Wheels Track Builder Stunt Bridge is the ultimate piece in the Hot Wheels world of stunting.